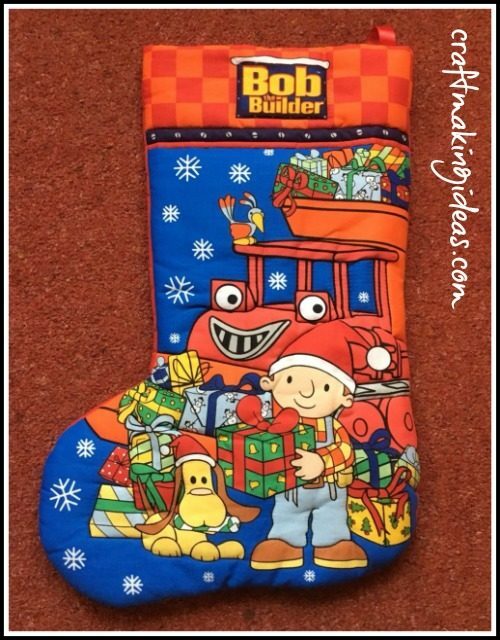 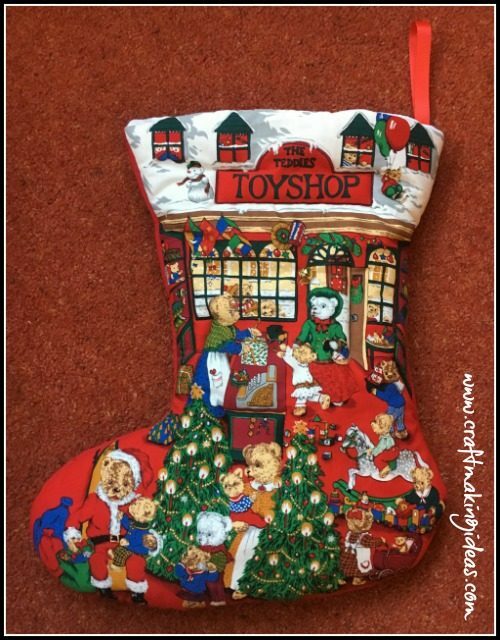 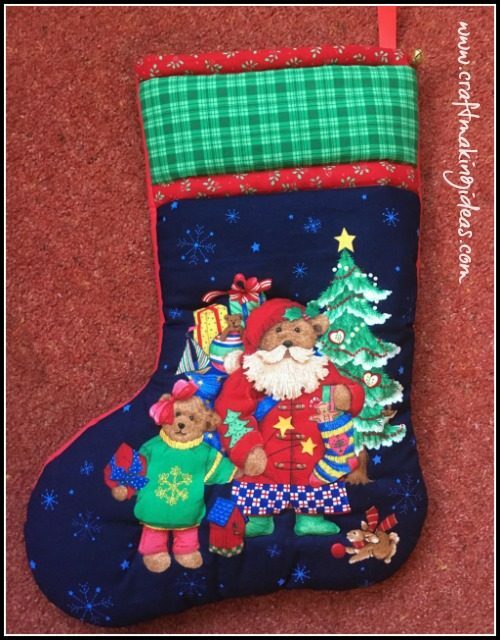 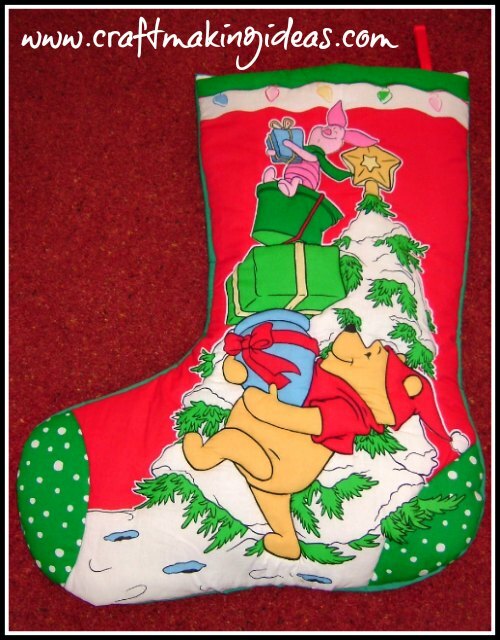 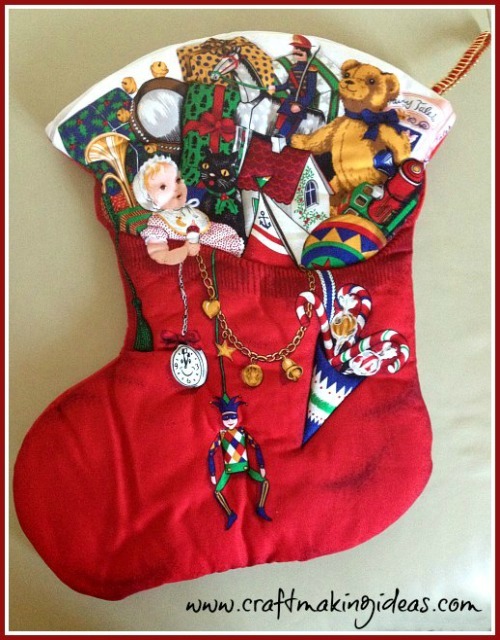 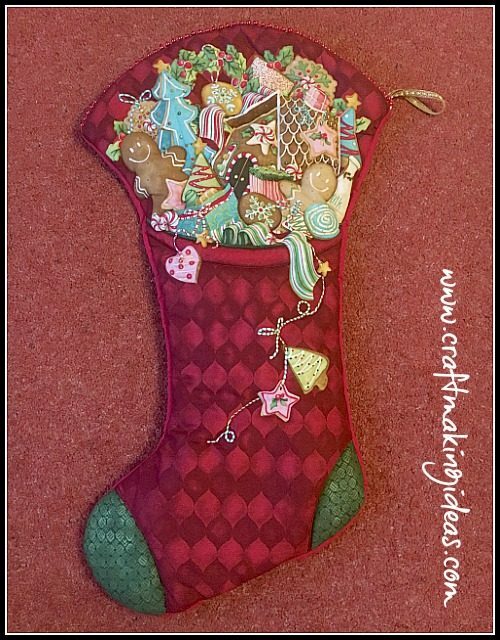 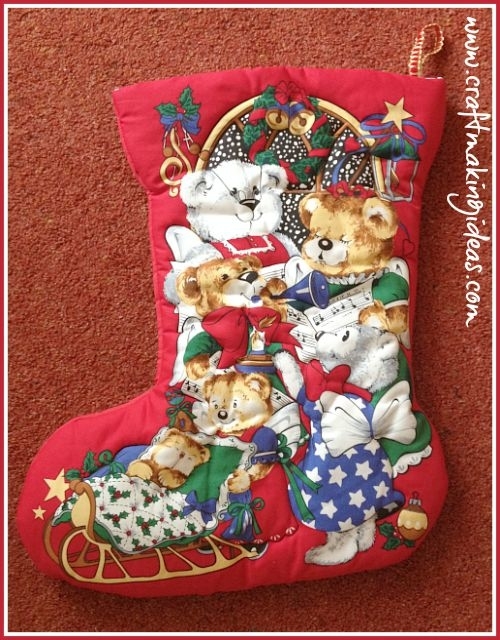 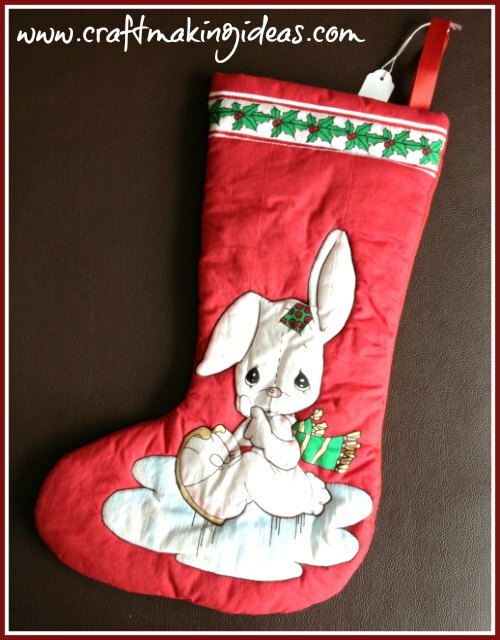 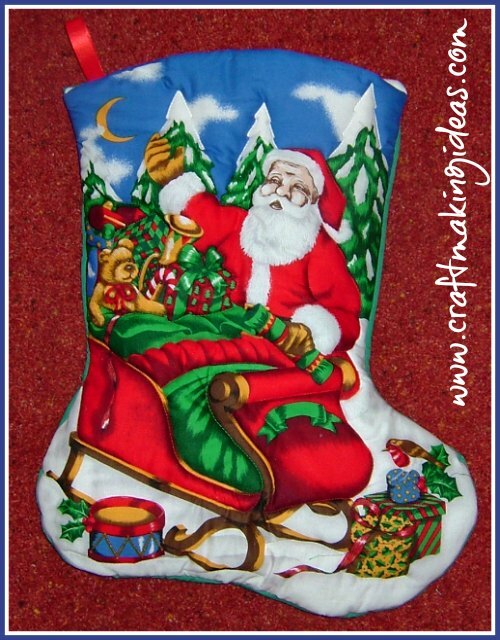 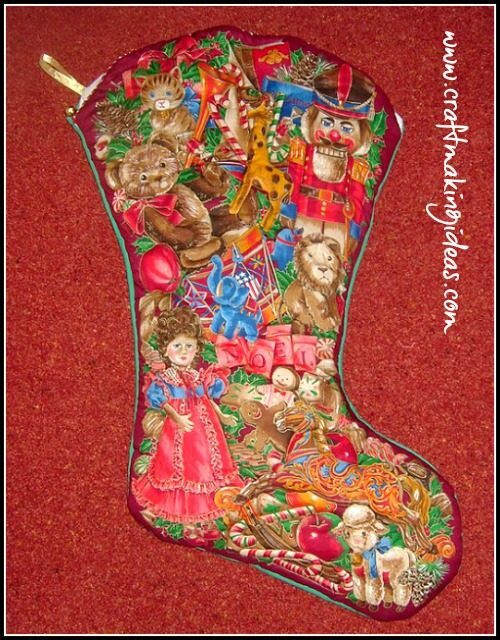 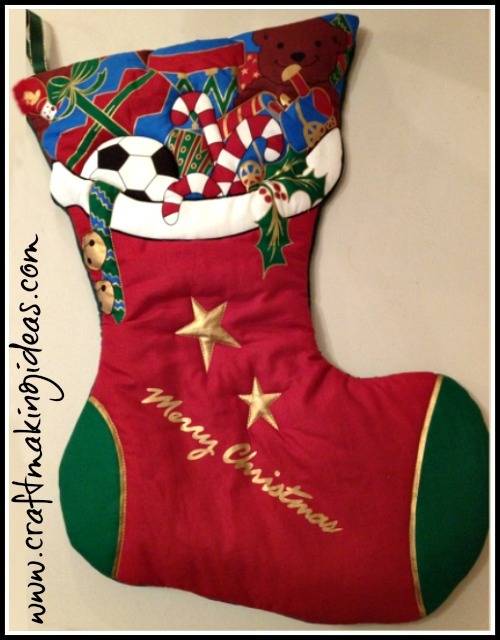 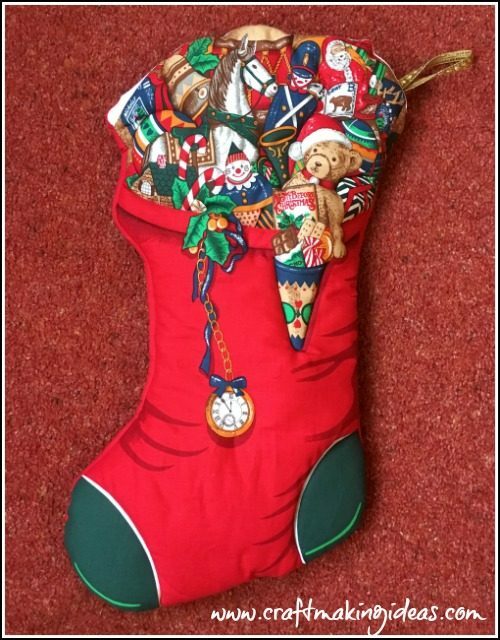 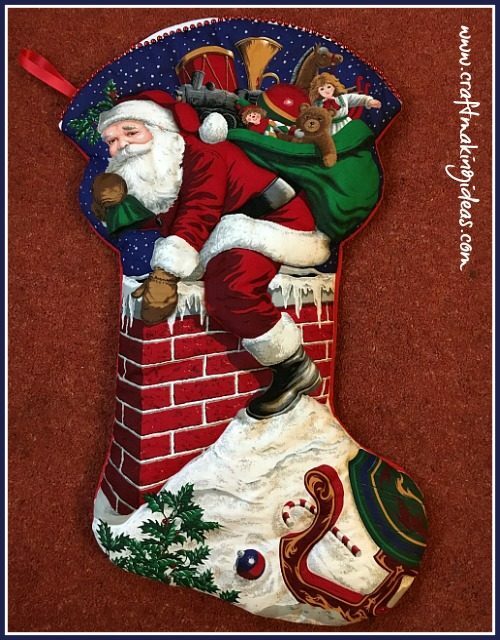 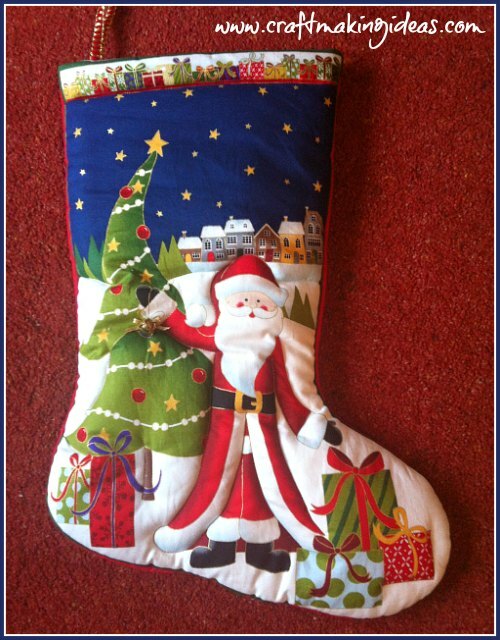 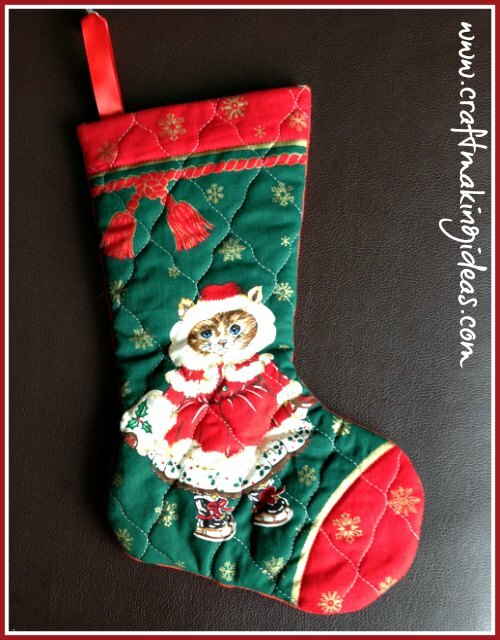 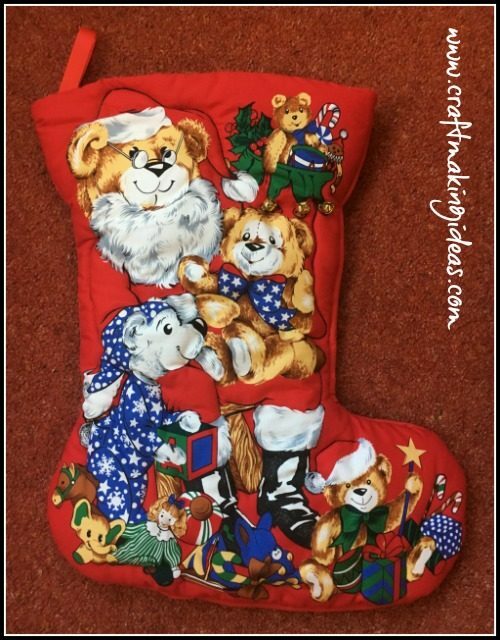 All Christmas Stockings start off as a single character fabric panel. 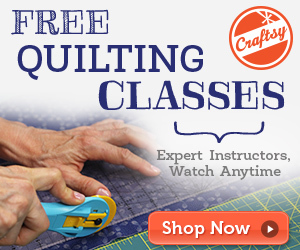 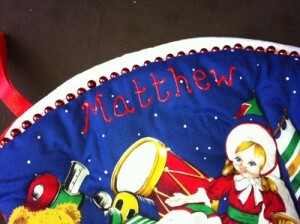 A layer of wadding is added along with a lining & then certain aspects of the design are quilted to give them a 3d effect. 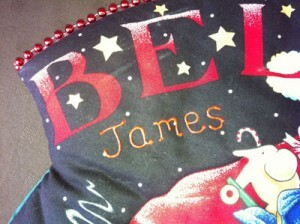 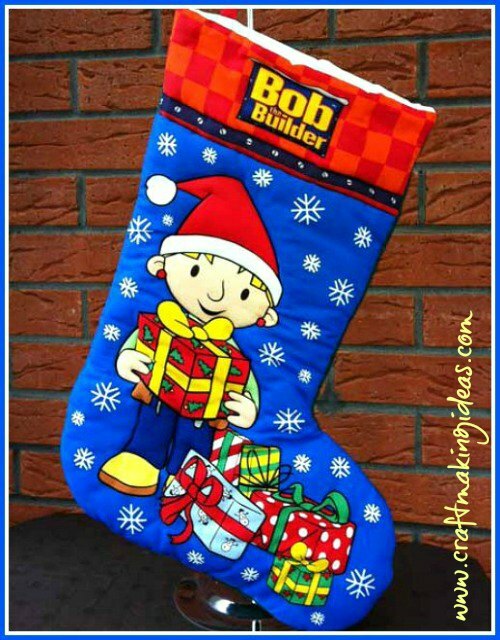 All stockings can be personalised with a child’s name in fabric paint. 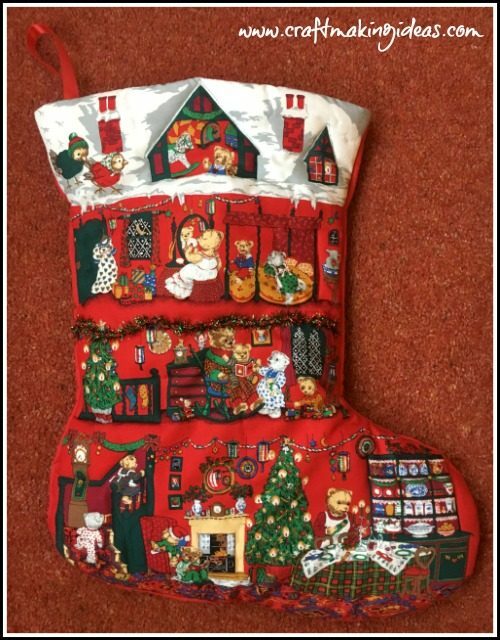 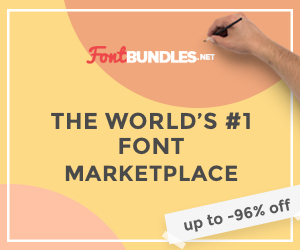 Please note that the stockings vary in size by a considerable amount, so the individual dimensions are provided for each one in the product description. 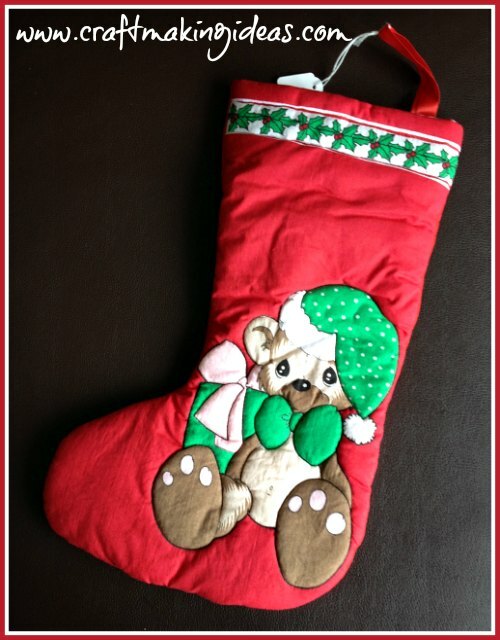 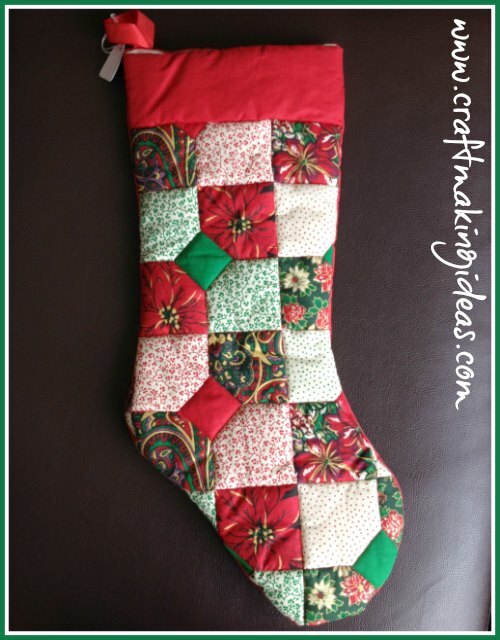 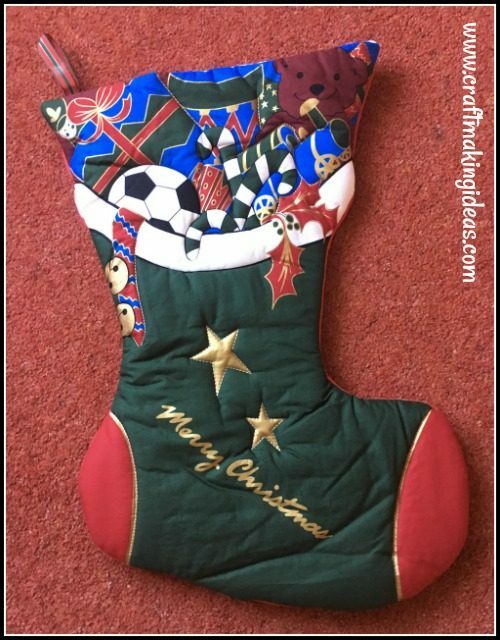 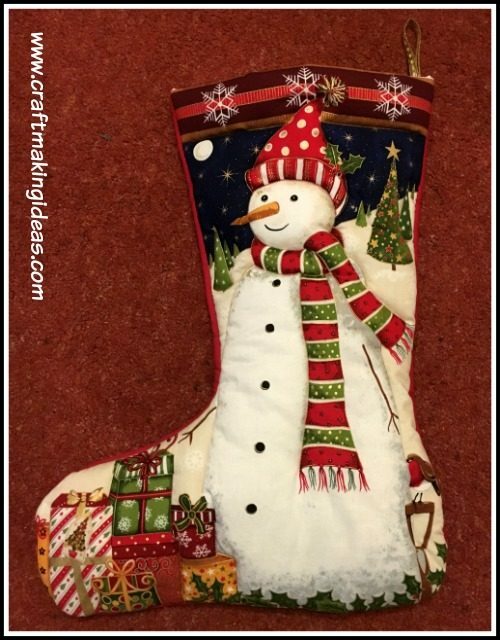 Each stocking has a design as shown in the picture on one side and a crisp plain fabric (generally red or green) on the other. 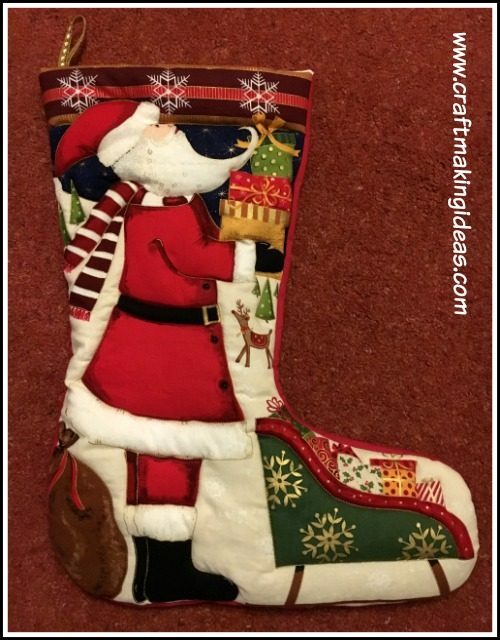 Please note that the stockings can be either right facing or left facing, and will not necessarily match that shown in the picture. 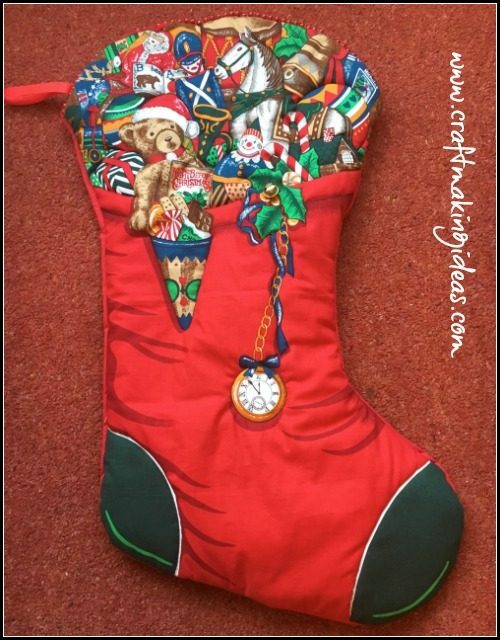 If you you prefer a specific direction, please check availability by dropping me a quick email before ordering.